Back to school season is happening soon and you know it’s time to do some school supplies shopping! Not sure what to buy or pack for the first day of school? You WILL be after reading this article. 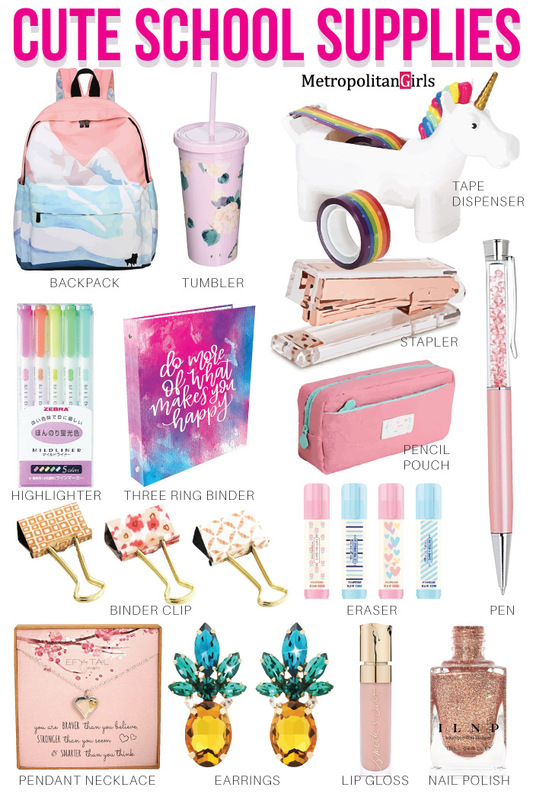 In this article, you will find a list of more than fifteen cute back to school supplies that will make going back to classes exciting for anyone. Teen and tween girls will absolutely love these ideas. But don’t be discouraged if you aren’t from either group, they appeal to everyone who likes cute stationery. The list is comprehensive an extensive, so expect to find most if not all single school items that you will need to excel at school — or at home with your school assignments. 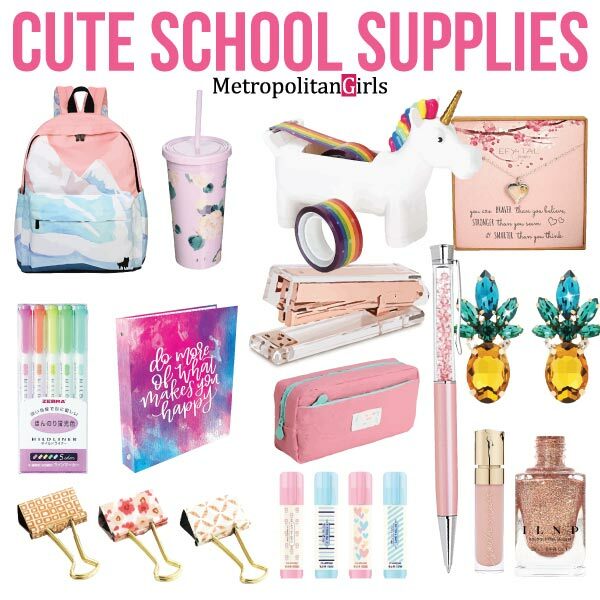 Personally, I’m too old for high school, at least not as a student anyway, but I’m super hyped to see these cute school supplies. I’ll definitely some of these the next time I need to stock up on office supplies for my little home office! You may also enjoy these fun emoji school supplies. In recent years, the innocent term “Back-to-school necklace” has gained a dark meaning in pop culture. Here’s what I think a back-to-school necklace should be instead — a beautiful jewelry piece that boosts your self-esteem and motivates you to take on new challenges in life. 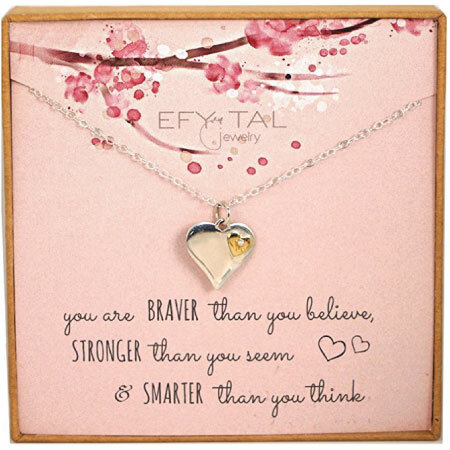 “You are braver than you believe, stronger than you seem, and smarter than you think”. 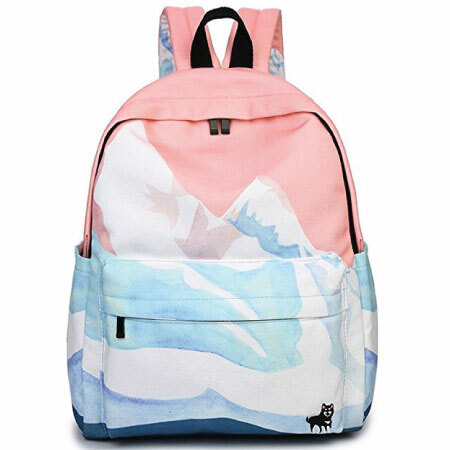 Beautiful canvas backpack with watercolor snow mountain and a proud Husky in the bottom right corner of the front pocket. Durable and machine washable. In terms of storage space, it has two side pockets for water bottles and other smaller items and a big front pocket with zipper closure. Inside is a big compartment with multiple smaller pockets and a hidden compartment. First seen in our minimalist school essentials guide, this large-capacity pencil pouch has a simple and unintrusive design. It is small and light enough to fit in your backpack, but big enough to keep all your stationery. 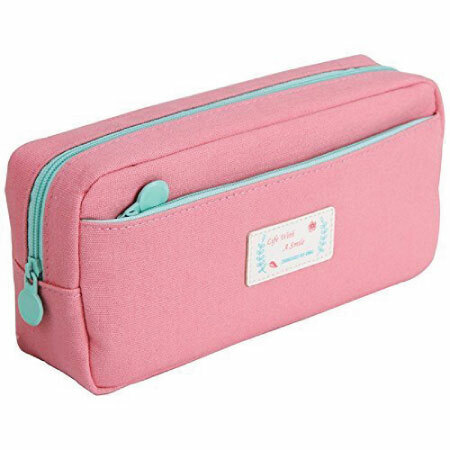 There are other colors available but we really love this pink version with baby blue zippers. Teenagers often daydream. With untainted creativity, teens imagine what could have been and what would be in store for them in their future. Provide them with a means to record their fantasies and their ideas with a beautiful notebook that makes you want to write in it. With it you get 144 blank pages to fill your thoughts with. Get inspiration from the chubby Zen master himself. Disguised as a half-naked bear wearing only a red top in the Hundred Acre Woods, Winnie the Pooh shares wisdom through innocent words. 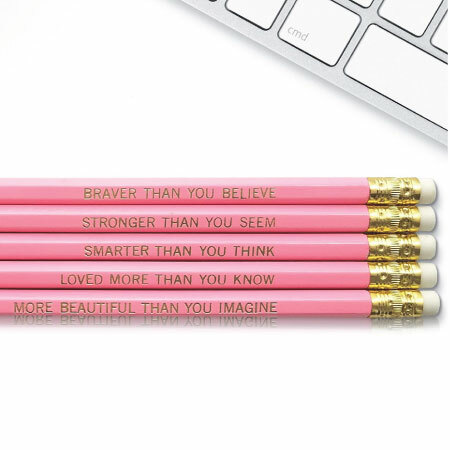 Now you can get inspired by his words when you write with these inspirational pencils with Pooh’s wisdom. Everybody makes mistakes. 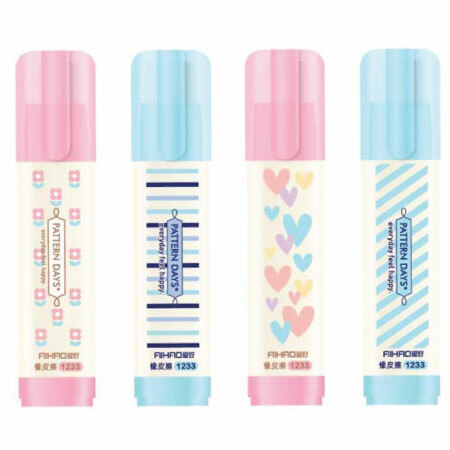 When you make mistakes with a pencil, you can always undo your mistakes with one of these lead-free erasers in adorable pastel-colored containers. 3 erasers in each container. They can be taken apart and put back together just like a puzzle. Refillable. Reliable. 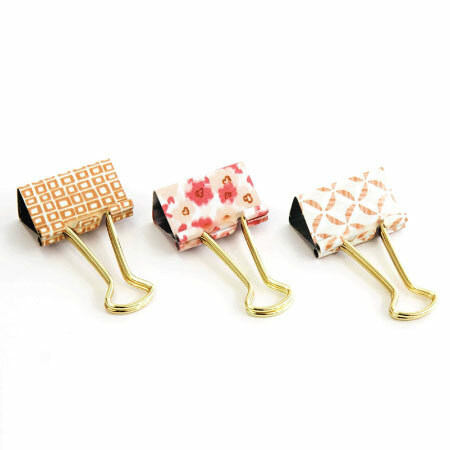 Eye-catching golden binder clips with unique patterns. Use them to keep your papers organized by subjects or due dates, personal or school matters. No matter how you’re using them, one thing is certain — they look pretty darn good. In the realm of cute office supplies, regular ballpoint pens just wouldn’t cut it. 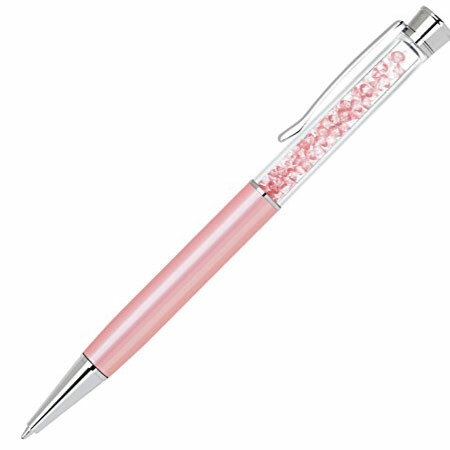 Enter this pink and silver pen with sparkling crystals inside its body. The crystals are free-moving inside its container and sparkles when light shines on it. Use it for your own enjoyment or give it as a gift that will impress the recipient. A white unicorn with rainbow hair and golden horn. He leaves traces of rainbow everywhere he goes. 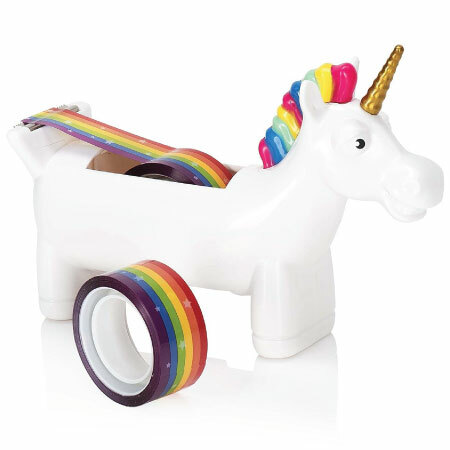 And being a tape dispenser, the rainbow he leaves behind is, of course, tapes. It is super cute and fun to look at and play with, but it may be too big to bring to class. So keep the docile horned beast at home on your desk where it’s safe for him to play. So much more than just an eye candy. 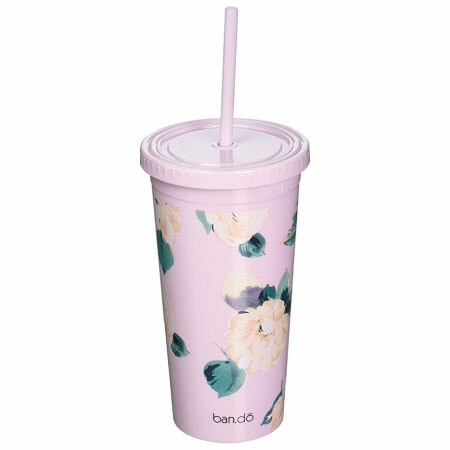 This tumbler is heat-resistant thanks to its double-walled design. So cold drinks stay cold longer, and the same goes for hot beverages. It is also spill-resistant, unless there’s a strong impact, the lid stays closed to keep the liquid inside. Elegant floral prints on the tumbler body. 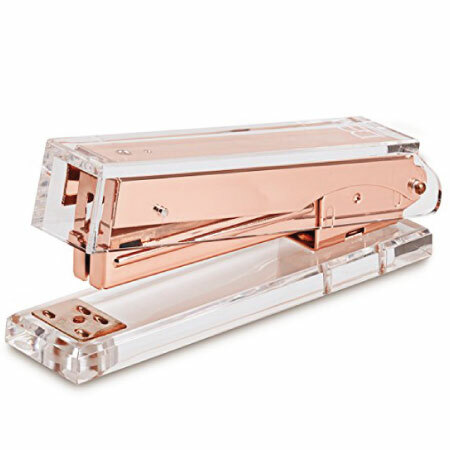 Clear acrylic stapler with a rose gold interior. Feel glamorous as you hold this beauty in your hand. Drive that staple through sheets of paper has never felt so good until now. Built-in staple remover. This is my personal favorite on this list. It would have gotten an “Editor’s Choice” sticker if there is a way for me to do it. Keep your assignments or documents organized in a three-ring binder. This binder below does more than holding your paper, it also inspires you to pursue happiness in life. 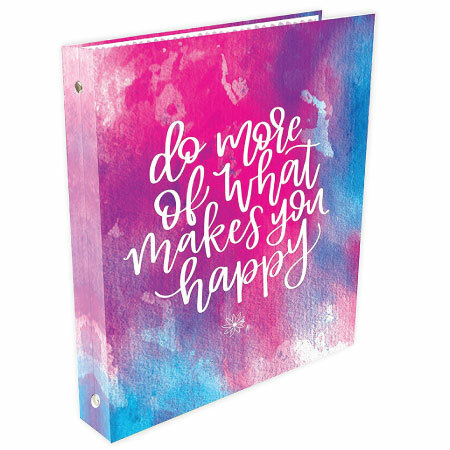 “Do more of what makes you happy” is what it says on the cover against a watercolor background of gorgeous magenta, purple, and blue. Some highlighters are way too bright. Yes, you do want the highlighted text to stand out but you don’t want to do it at cost of drowning out the rest of the content. If the highlighted text is the crown jewel, the rest of the text is the crown itself — the crown is an integral part of the whole thing! 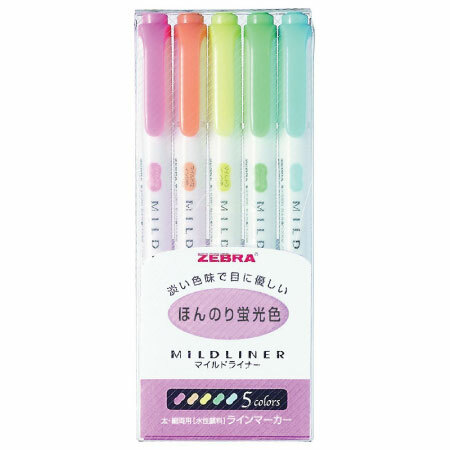 The Zebra Midliner highlighters are in mild and gentle colors. They work great at gently directing your attention without crowding it. All work and no play can make you dull, too. It’s important that you prioritize your studies, but that shouldn’t prevent you from making yourself look pretty. 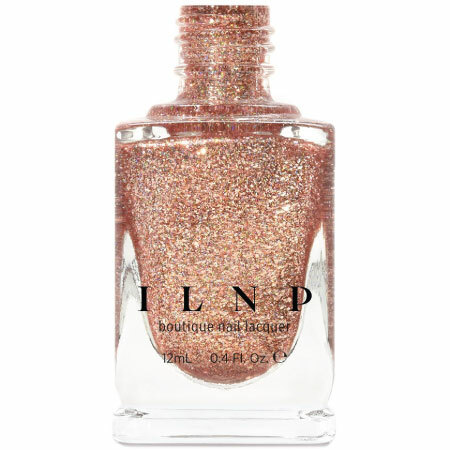 Be bold and loud with this ILNP glittering rose gold nail polish. Have a little fun. 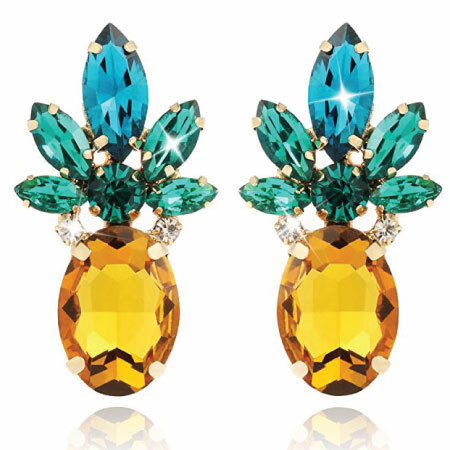 Cute earrings featuring the interesting-looking tropical fruit pineapple. Complement your cute back to school outfit with this unique pair of earrings. The earrings are made of crystal and glass stones. 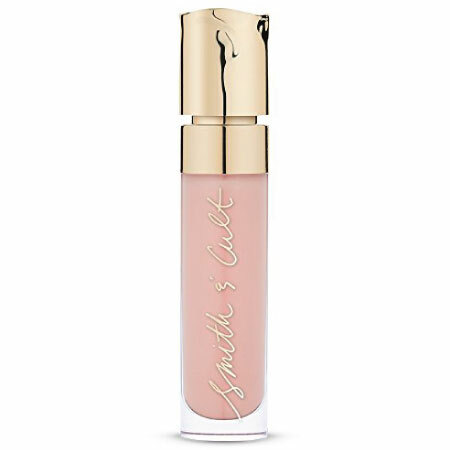 Baby pale pink lip gloss for a natural look. Moisturize and add volume to your lips. Protect your lips from the environment. Remember to follow our school supplies board on Pinterest! Emoji Office Supplies – :smile :poop :angry :lol emoji lovers only! School supplies in emoji theme. Back to School Essentials for Middle Schoolers – back to school must-haves for kids in middle school. A guide for tween girls. 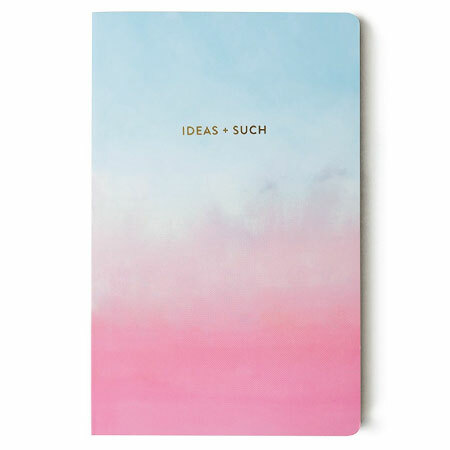 Minimalist School Supplies – Simple, unobtrusive stationeries that shine in their own way. Mint Green School Supplies – Beautiful stationeries — all of them are in mint green.